Cotton bedding has been the saviour of sleepless nights for many, for hundreds of years. Not only are your mattress, pillows and a peaceful surrounding important, but so is the material your bedding is made from. Luxury bedding is not just about looking good, but the benefits of quality sleep, durability and softness. 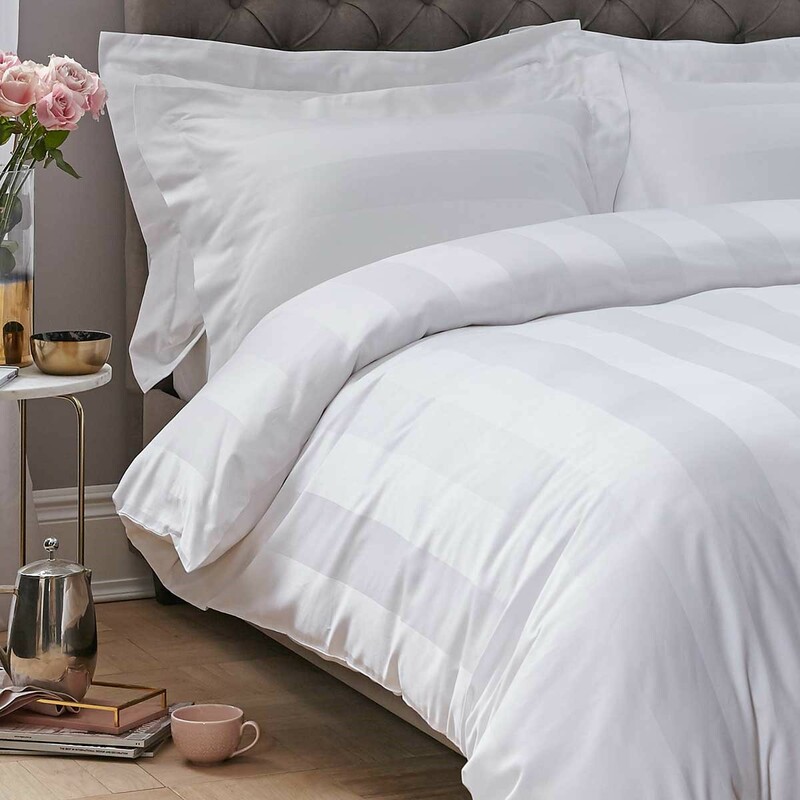 Why choose a cotton duvet? One of the major benefits of cotton is that it is a breathable material which means that as your body changes temperature throughout the night, cotton absorbs heat from you, keeping you cool and allowing you to stay asleep. In the winter, the benefits are reversed as cotton also acts as an insulator and retains heat you produce from your body. Cotton is soft, meaning it is an ideal material to sleep in for anyone and especially those with sensitive skin. If you suffer from allergies, then cotton, as a naturally hypoallergenic material, is less likely to cause any irritations or itchiness. Cotton is very durable and will therefore last longer than many other types of bedding fabric. It is also easy to wash in a regular washing machine and you can easily tumble dry it too. Linen is also a popular type of material for duvet sets, it creates an understated and stylish look to a room and the material has the same breathable qualities as cotton does. Have a look at our Vintage French Linen collection. Thread count is a common thought when it comes to choosing a quality duvet. It is the number of threads per inch of material. For example, if you have 200 threads in one inch of material it will have a 200 thread count. At Dusk, our thread counts for our duvet sets are between 200 and 400 and made form Indian Suvin cotton. Another popular consideration when purchasing a duvet set is whether or not to choose cotton percale or cotton sateen. This is perhaps a more subjective decision than thread count and is really down to your own personal taste and choice. Sateen has a more uneven thread count which creates a softer, finish, it feels smooth next to skin and looks shinier. Percale produces a crisper and cooler finish which achieves the fresh look many people opt for in their luxury bedding. 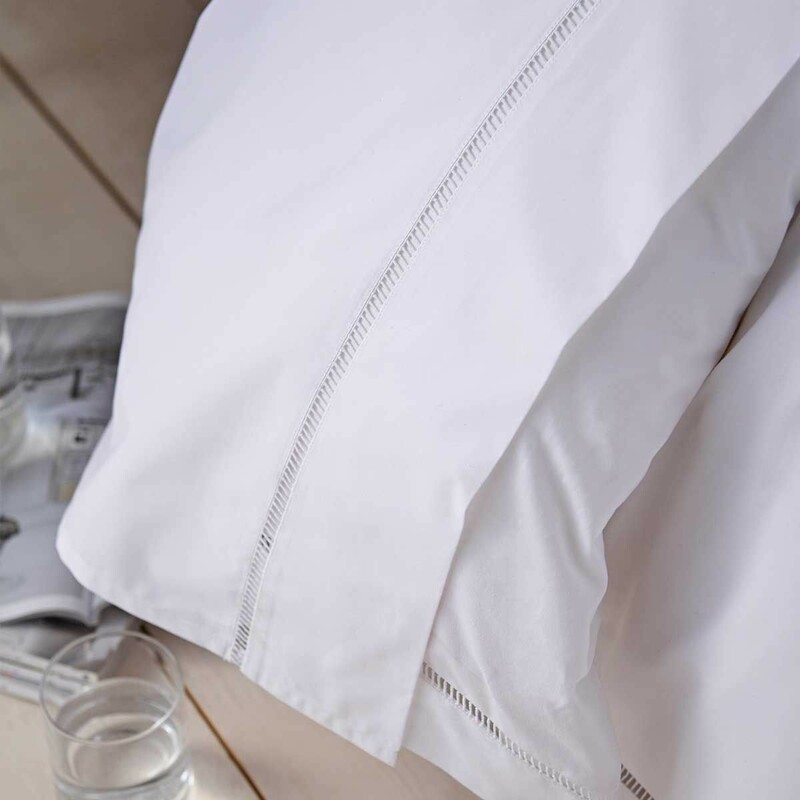 At Dusk, we have a combination of both percale and sateen duvet sets available in our duvet cover collections. Click to see our full range of Dusk luxury cotton bedding sets. From super king duvet sets, to singles and doubles, our collections are available at discounted prices, helping you achieve luxury for less.